TODAY, Tuesday, April 2, marks the 11th annual World Autism Awareness Day, and Celtic FC Foundation proudly supports this campaign which promotes understanding and awareness of children and adults living with Autism. Autism, or Autism Spectrum Disorder, is a lifelong developmental condition, which can affect communication, social interaction, and produce restrictive, repetitive routines of behaviour. 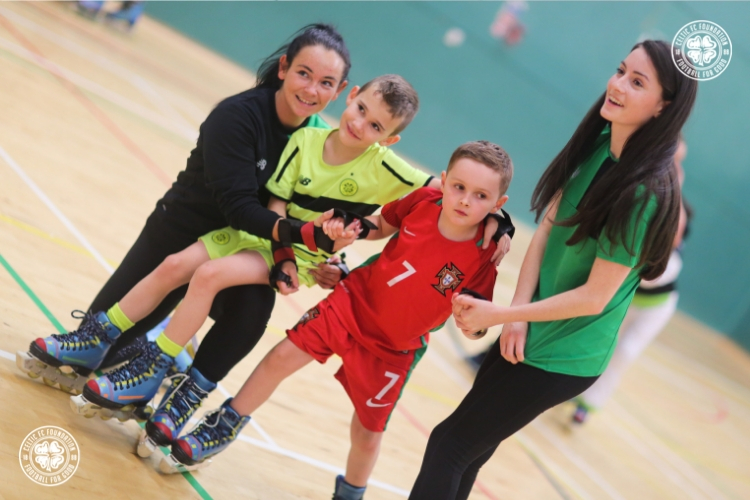 Celtic FC Foundation’s multi award-winning Ability Counts project works directly with children, young people and adults with Autism. Operating since 2015, this strand of Ability Counts is a key part of the Foundation’s project delivery, combining physical activity, sport and team-based play and allowing participants to express their feelings in a relaxed, comfortable environment. The project’s growth continued in 2017 with the introduction of Ability Counts 18+, which offers pathways for participants and others of adult age to learn skills around employability and mature learning. Building on existing provision, the Foundation will this week launch its Sensory Room, within Celtic Park’s Lisbon Lions Stand. Using proceeds from 2017’s #LionsLegacy campaign, the Sensory Room will operate during the week and on matchdays, providing a safe space for children and young people living with auditory, visual or sensory disorders, including Autism and similar conditions. Celtic FC Foundation Chief Executive, Tony Hamilton, said: “Celtic FC Foundation wholeheartedly supports World Autism Awareness Day and I’m pleased to see the progress our Ability Counts participants have made over the last few years. “Helping those individuals fulfil their potential is hugely important to the Foundation, and as always, we are looking outward to improve our services and engage more people. Ability Counts Autism is delivered at Tollcross International Swimming Centre, Thursdays from 6 to 8pm. Ability Counts 18+ is delivered at the same venue, Fridays from 1-3.30pm.